Start playing the VR game bloxyz now! Have you heard about the VR game bloxyz yet? If you are a loyal reader of our blog you most certainly will have. We wrote an article about the game in March, but we would like to focus your attention on it once again because it was Greenlit on Steam in May and the developer, software engineer Geert Machtelinck, is very open to feedback. 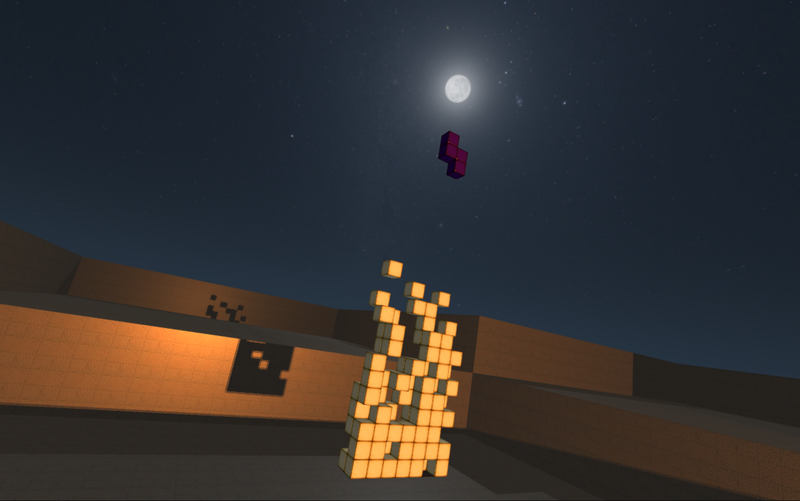 For people that missed our article all those months ago: Bloxyz is a reinvention of Tetris for VR. The game has been designed around VR from the bottom up, creating a familiar, but at the same time surprisingly different experience. The stereo vision and head tracking, for example, offer players an improved understanding of depth and geometry, allowing them to better analyse the 3D puzzles they are presented with. Players can quite literally look around the shapes with their head to determine their choices more strategically. Head over to the Steam page of the game, dole out the 3,99€ and start playing it yourself right now! The game is available for both HTC Vive and Oculus Rift.